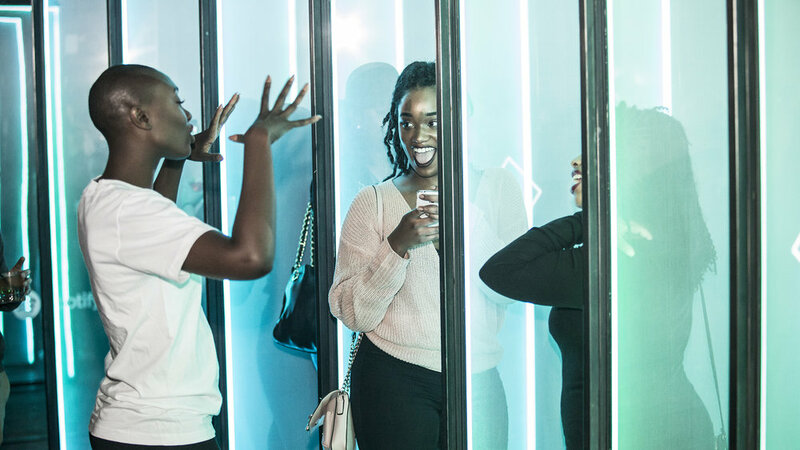 Spotify Moments Roadshow was a three-part experience designed to educate Spotify's agency partners on the benefits the new ad platform, 'Branded Moments.' 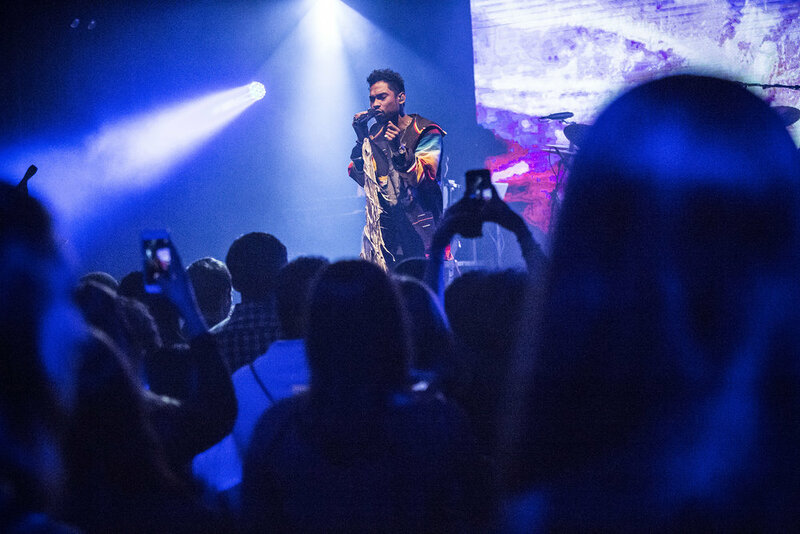 First touring across the United States and later through Europe, the roadshow combined educational discussions on the product and experiential activations to best inform Spotify's partners on what the product is and why it will be such a success. 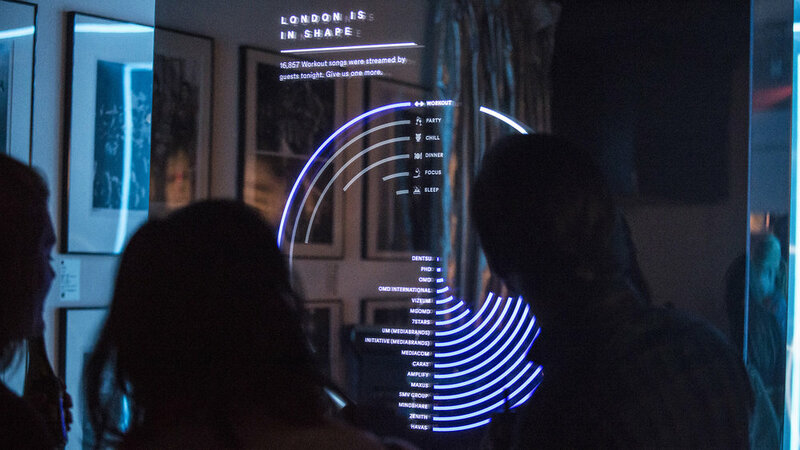 In the three parts, (Invite/RSVP, Agency Presentation, and Party/Performance) the experience collected data insights from agency's members and held an open forum to get an overview of the product at each firm. 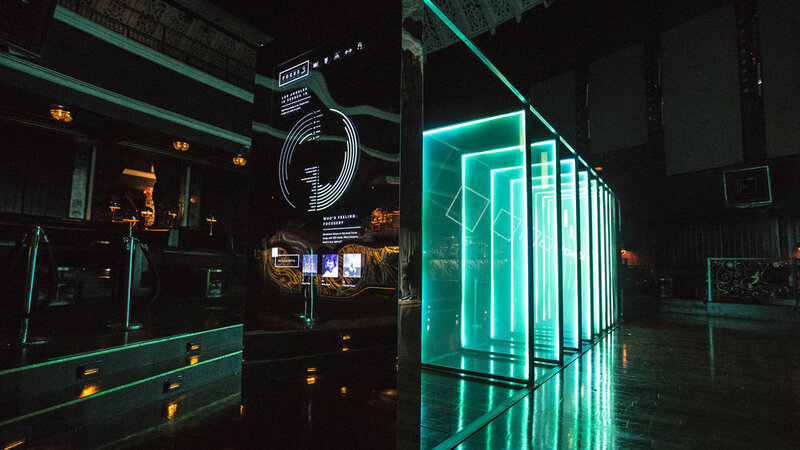 In the Party/Performance experience, all of the agencies came together to compare listening trends with other agencies and to get immersed in Spotify's Moments with the Moment Oasis. 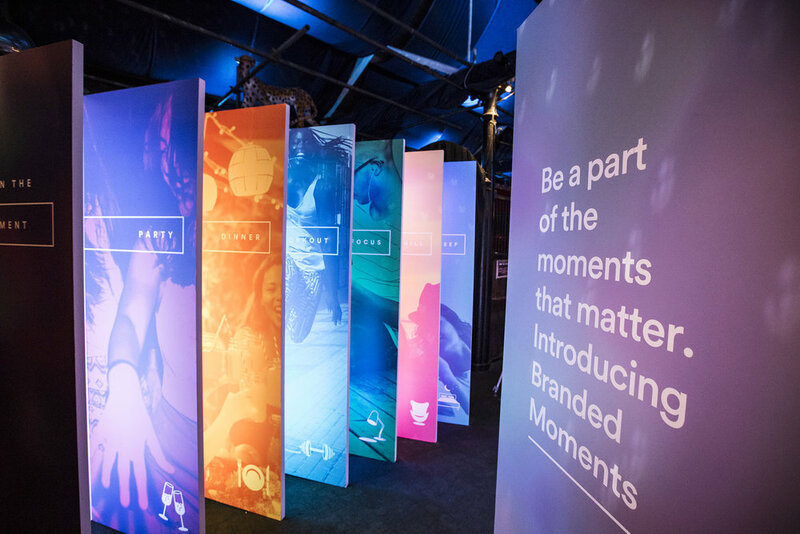 The Spotify moments roadshow interacted with Spotify's agency partners in three key moments. The invite created an RSVP for the attendees while collecting basic listening trends from each agency. 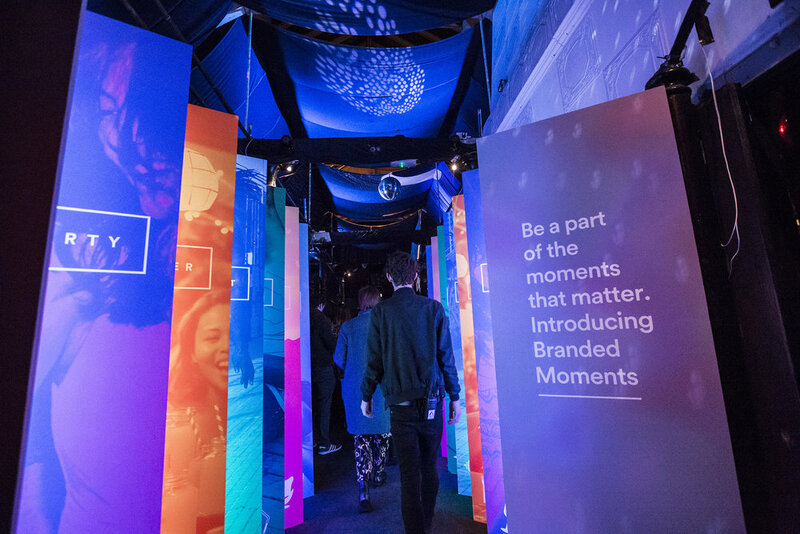 In the presentations, partners were educated on the power of the brand's newest product, Branded Moments Ad Platform. Finally, in the Party, agency partners were immersed in a moments experience that was both fun to interact with but also educated partners with their own data analytics. 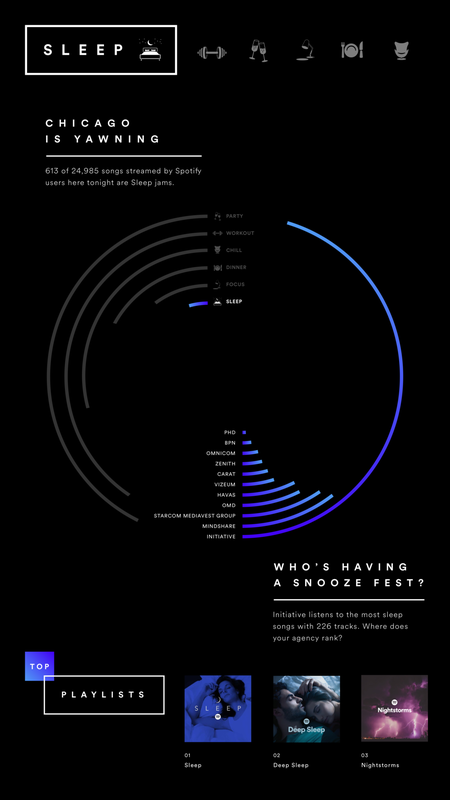 Spotify's moments are the foundation of the roadshow concept. Moment playlists were created to branch away from traditional genre based playlists by targeting the aspirational themes that listeners are aiming to experience. The six moments used in the experience were analyzed and defined with mood photography, color gradients, and motion animations. 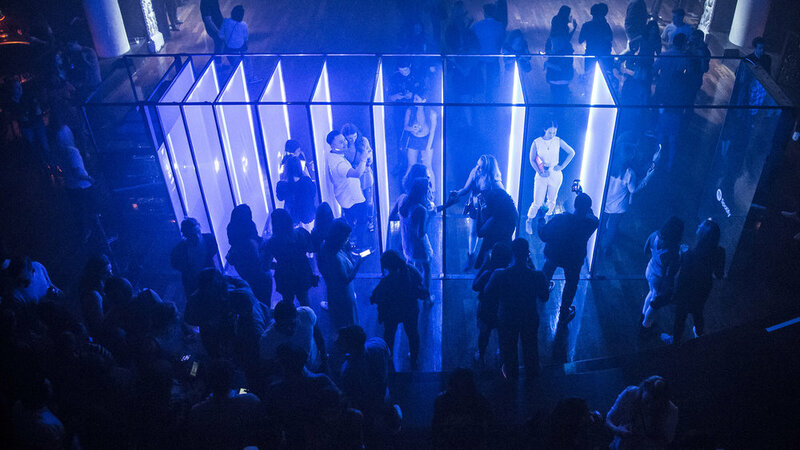 To experience each moment, the goal of the activation was to immerse guests in moment color and movement that is specifically styled to embody each moment uniquely. 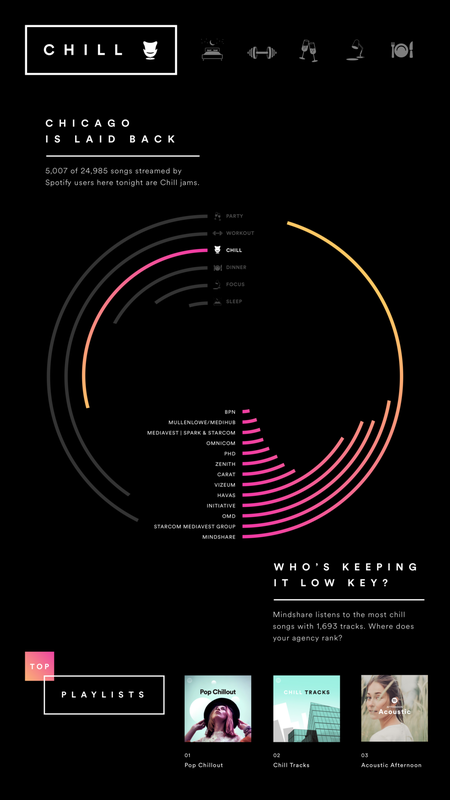 By RSVP'ing, Spotify was able to access the listening trends of the agency employees and analyze it collectively with the rest of the agency. Collective data insights from each agency was joined with other partner agencies in order to create data infographics that compared moment listening trends and displayed the top playlists enjoyed by all partners. When entering the venue, partners first passed through the Moment Gateway. 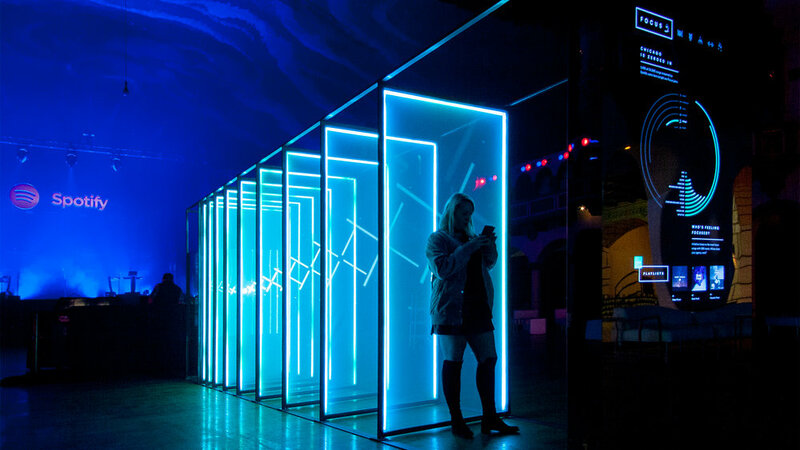 The Gateways is a modular threshold comprised of twelve moment panels that introduced the six moments with typography, color, and mood photography. Directional movement within the colored light illuminating each panel would both act to guide the flow of guests forward but also disguise and reveal two-tone moment photography. Designed to be reconfigurable, the Moment Oasis was situated front and center within a variety of venue sizes and floor plans. Motion graphics for each moment were designed to embody the essence of each mood. Animations were then optimized to have the most experiential impact for each Moment when projected through multiple layers of translucent fabric at large scale. By projecting through multiple layers of translucent fabric surrounded in animating color frames, the motion animations were amplified. Guests were encouraged to interact with the Moment Oasis's dimensional animations and animated color from multiple locations within the experience. Concluding each party was a performance from one of Spotify's most popular music artists, including Chvrches, Diplo, and Miguel.